Are you looking around to store your important data for free so that you can access them anytime? You don’t need to worry then because the very popular provider of cloud storage services. 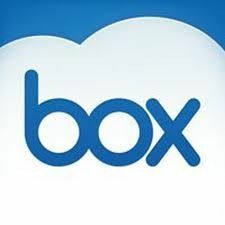 Box is offering currently 50GB of free space with lifetime commitment to its new users who sign up for an account. The free cloud storage offer arrives as a real treat for the users of mobile devices as well as for the computer users from Box.net. Previously, the same service, without any offer with a year-long commitment for any user would have cost $20 exactly, which amounts around Rs. 1000 per year. Also, a new user at the Box.net gets a free storage space of 5GB merely when he/she signs up. The signup page of Box.net clearly says that this offer is exclusively available for the Dell devices, though it does not appear that the user needs to own a Dell computer or be an employee of Dell in order to take the advantage of the offer. The signup page reads “ Get 50GB of Box FREE for Life and 50GB for Friends or Coworkers”. The company has not delivered any information regarding the running period of this promotional offer but we may surely suggest that if you are interested for 50GB of free storage space for lifetime to share your contents from anywhere across the world, do sign up soon. It would be quite interesting for you to know that Box was offering 25GB of free cloud space to its new users signing up in the previous week.